Learn to master injectables from Dr. Katz, inventor named on the patent application for Botulinum Toxis (Botox, Dysport, etc). All therapeutic and aesthetic treatments are covered, as well as the newest injectables applications of PRP & PPP to reduce material costs to a fraction of what they would be using hyaluronic acids (like Restylane, Juvederm etc). Now available in LA September 9th (Details for the Los Angeles program), and NYC September 16th (Details for the New York program). One of the most fantastic things about platelet rich plasma as a medical therapy is that almost every single person on the planet is a suitable candidate for the treatment. This is unlike any other type of treatment that you can see in a medical center, and as the power within each microliter exceeds almost anything else recorded, it is possible to use platelet rich plasma as a treatment option for many different health problems, from acute joint injuries, arthritis, degenerative diseases, joint pain, ligamentous laxity, torn meniscus sciatica . . . and many others. You even find some people receiving it as a treatment for slipped discs and other joint problems. This is why so many medical professionals are considering whether or not to offer platelet rich plasma treatments to their patients for both healing and for cosmetic reasons, and there are many areas of the health profession who could support their patients using this: orthopaedics, ophthalmology, cosmetic enhancement, wood healing, and sports medicine. As there is almost no risk of rejection as the platelet rich plasma is constructed from the patient’s own blood, you could call it a universal healing agent, and one that you should be able to use on absolutely any patient that walks through your door. But it is a little more complicated than that. Just because something feels like a miracle cure, that does not mean that it is! If you are considering offering platelet rich plasma treatments to your patients, you need to consider a few things first, and almost all of them center around the training that you have received. This is because there are some situations in which platelet rich plasma is not a good idea for the patient, and you need to ensure that your training is absolutely at the highest standard so that you are able to understand when that is. As medical professionals, it is our duty to understand exactly what all of the potential consequences are of each decision that we make, and our patients depend on us to ensure that we have all the correct certifications for the treatments that we offer. Having platelet rich plasma certification training is something that you should reach ICMS/AMSSM standards that regulate the quality of the offerings that we make available to our patients. Extensive platelet rich plasma training will give you the practical tips and tricks to make sure that you can carry out the application of the treatment for your patients, but the training should go far beyond that. You also need to be able to know how to tell your patients about the different options that are available to them, what is best for them, and at the same time do not pressurize them into one particular choice. You will also need to understand what to do if something goes wrong, and how to quickly heal any problems that occur. When you are considering whether or not to offer platelet rich plasma for cosmetic purposes, you will also need training and experience on exactly how to craft and contour a positive experience for your patients when it comes to the way that they look. It is part science, and part art, and you need to be able to help your patient achieve the look that they want along with keeping healthy and happy. Managing your patients’ expectations as well as their health can be a tricky business, and one that requires a lot of practice, but the best way to set yourself up is to receive the best training that there is possible. Some of the great innovations in medicine and science are not completely understand when they are first released, because there is a natural amount of scepticism and distrust about something that has previously been considered unnecessary. After all, we lived without it before, right? But what so many people do not think about is that just because we did live without a particular medical treatment, that does not mean that we have to – we didn’t say no to television because we had never had it before, so why should we do the same for excellent new understandings for our bodies and what medicines they need? One of the most impressive developments that will almost certainly be one of the hottest treatment in 2018 is platelet rich plasma treatment. If you have never heard of it before, that is not much of a surprise: many in the medical world are a little confused about what it actually does, so there is no reason why a member of the public would know exactly what it does. Put simply, it is the only known treatment in the world that allows our bodies to harness their own natural healing power, utilising mechanisms buried deep within our own DNA, to quickly and simply supercharge our natural healing process. There is no magic within the platelet rich plasma treatment, just the impressive power that our own bodies possess. 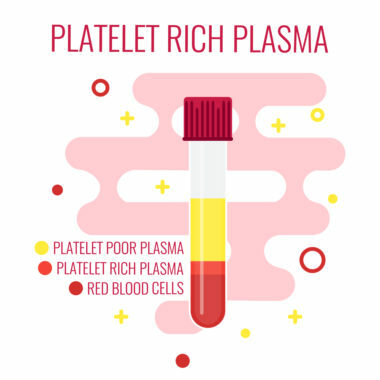 Although considered one of the most exciting developments of modern medicine in decades, the actual treatment for platelet rich plasma is rather simple. All that needs to occur is for a sample of the patient’s blood to be taken and then spun around to isolate the platelet rich plasma. This plasma is then re-injected back into the area of the body that requires the extra healing support, such as the site of an operation, or a part of the body that is aging. There simply isn’t another treatment option out there in the world that can offer such strong benefits without utilising anything complicated – and there are no side effects, because the platelet rich plasma is made from the patient’s own blood. Although many people consider platelet rich plasma to only be useful for recovery for major surgeries, there are actually several different uses for the treatment method, and the one that is likely to become the most popular is for dermatological care. Our skin is our largest organ, after all, and the better that we are able to look after it, the healthier and happier we will be for longer. Using platelet rich plasma for skin care is not a huge leap when you consider that it rejuvenates the body from the inside out. Most of the time the only reason that our skin does not look so good is because it is not possible for our bodies to revitalize itself. It doesn’t have the building blocks it needs, and even though we have previously learned to use dermal fillers to try and fill those gaps, they only last for a short amount of time. On the other hand, platelet rich plasma treatments are much better than dermal fillers as they do not force unnatural chemicals into the body, but rather support the body in creating its own natural materials. Dermal fillers cost individuals around the country hundreds of dollars and do not actually help the body itself, whereas platelet rich plasma heals the body itself. 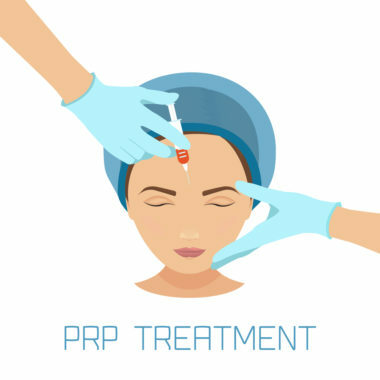 We predict that platelet rich plasma is going to become increasingly popular so that by 2018, it will become a standard practice to support patients as a replacement for dermal fillers. Could Platelet-Rich Plasma be better than Hyaluronic Acid? Anyone who is already living and working within the field of treatments for symptomatic OA has seen the dramatic rise of platelet rich plasma as something that has shot waves across the scientific community, and this latest development has come as no surprise to many of us who have watched the journey of this new treatment with interest. Hyaluronic acid has been the accepted treatment option for many years, and while there is nothing specifically wrong with it, it has been surprising to see such a brilliant alternative come to market so quickly, and with so few side effects whatsoever. 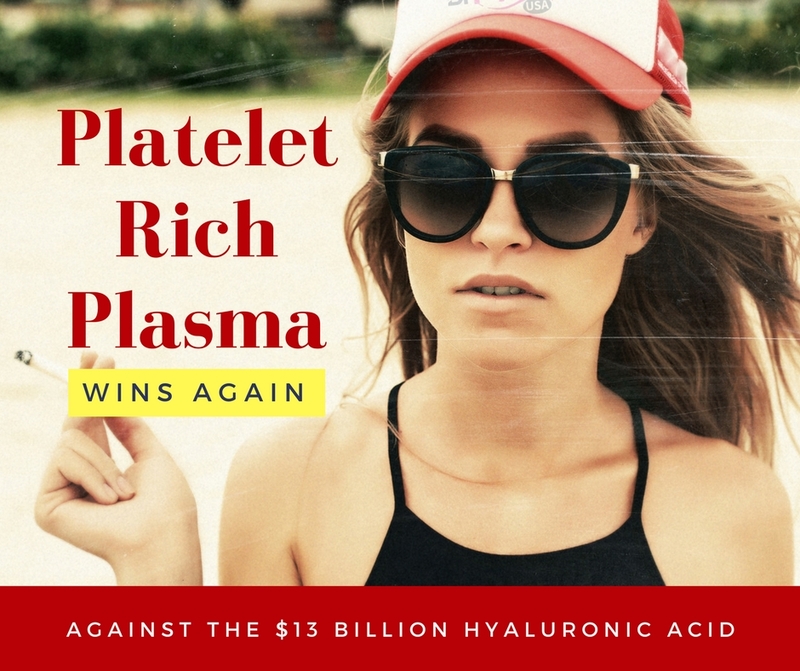 Now that another study that pitched it against platelet rich plasma has declared the latter the winner, it is hard to see how anyone can continue to demand the former. The study was undertaken by Brian Cole of Rush University Medical Center, an institution that has been ranked number four in the nation by U.S. News & World Report. In his position as associate chairman and professor of the Department of Orthopedics, as well as chairman of the Department of Surgery at Rush (ignoring his role as the Chairman of Surgery at Rush Oak Park Hospital), he is the author of over a thousand articles and tens of textbooks in regenerative medicine. The study took 111 patients who had symptomatic unilateral knee problems, and observed them for one year as half of them were given platelet rich plasma as their treatment method, and the other have were given hyaluronic acid. There were five treatments given of each method over the year, and no one knew exactly what treatment type they were receiving. After the year was up, all of the patients were tested for IKDC, and the scores for the platelet rich plasma group were significantly higher than the other. In fact, the paper’s reports states that, ‘significant improvements were seen in other patient-reported outcome measures’, which suggests that platelet rich plasma’s natural anti-inflammatory properties made themselves known to the patients! These findings are truly remarkable when you consider that hyaluronic acid is itself a critical substance that the body requires for permitting the bones in our bodies to glide naturally past one another. When there is not enough of this hyaluronic acid within the body, stiffness and pain is experienced by the patient, and this develops into osteoarthritis. Our medical understanding until now has been that the only method of treatment that is likely to enjoy any success is the obvious one: to inject further amounts of hyaluronic acid into the body in order to increase the amount. Yet it is clearly not that simple. Although our naturally occurring hyaluronic acid offers our bodies these traits, it appears that bioengineered hyaluronic acid simply does not. There is something missing in our understanding of it which means that it does not create the same benefits that you would expect. That is why many experts are now believing that the $13 billion dollar hyaluronic acid industry may be about to completely collapse in on itself. After all, now that more and more people are proving through demonstrable studies that platelet rich plasma offers a much better patient treatment rate – and better general experience – why would anyone choose to have anything else? Anyone who has osteoarthritis could see their quality of life dramatically improved by the choice of platelet rich plasma, and no more unnecessary money will be spent on a treatment that does not seem to work anything like as well. Medical professionals are now being advised to offer their patients platelet rich plasma. Regenerative medicine, or treatments that are able to revitalize a part of the body that had previously been thought to slow down or even shut down, is starting to become more and more popular across the country – and the law is following this change in medical dynamics, enabling insurance companies to engage directly with their customers about what they can claim on. We truly believe that over time, when some of these regenerative medicines are better understand, it will become standard practice for insurance companies to not only accept restorative treatments such as platelet rich plasma, but start to insist on it as the better course of action. Athletes from a wide variety of disciplines are starting to depend on platelet rich plasma over corticosteroid injections or hyaluronic acid injections, a clear demonstration of the worth of these new emerging regenerative medicines. In fact, the Met’s Steven Matz and David Wright are just two sportspeople to recognize the validity of this relatively new treatment, and chose it for themselves. These anecdotal experiences are backed up by many of the larger scale studies that are taking place in China. One of them included 14 completely randomized trials, and went on to prove that platelet rich plasma was not only successful in treating knee problems, but was actually more efficient compared with previous treatment methods and placebos. Another recent Chinese study demonstrated that platelet rich plasma was the best source of pain relief and regain of functional movement. There have also been plenty of trials and studies that have been performed here in the United States of America, examining whether platelet rich plasma would be useful for low back pain or LBP. In all of the studies, it was demonstrated that significant improvement was experienced by almost all patients. These studies are all starting to combine to create a picture where no one has to concern themselves with the old treatment methods now that there is something much better, that can greatly improve their quality of life without any change to their treatment type except what it is the syringe that they are injected with. It is even being argued by some in the profession that the countless knee operations that are carried out across the country each year could dramatically be reduced in number of patients were able to access the platelet rich plasma injections early on in the injury journey, rather than suffering through second rate treatments that don’t work, and force the patient into accepting unnecessary surgery. This is a complex surgery that is often difficult to recover from – would it not be amazing if even half of the million people per year who undergo such a surgery could avoid it completely? 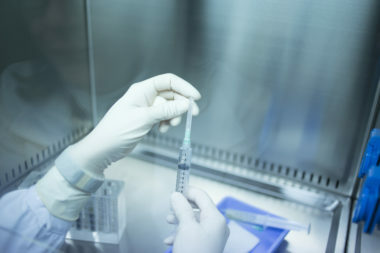 You may think that it is strange that, with such an easy alternative ahead of them, most patients decide to go with the less successful course of treatment rather than the platelet rich plasma – but the key thing that you have to remember is that at the moment, most insurance policies do not cover platelet rich plasma treatment. It is not yet widely understood, and that means that it is not widely accepted. When a patient is already paying a huge amount for their insurance, they do not want to have to pay again for a treatment, even if it is more likely to help them. This problem will hopefully soon be solved as more medical practitioners and then more insurance companies come to better understand that platelet rich plasma is often the best course of action for the patient. Next Botox Training Course in..
What Is The Primary Difference Between Dysport_ Botox_ And Xeomin! 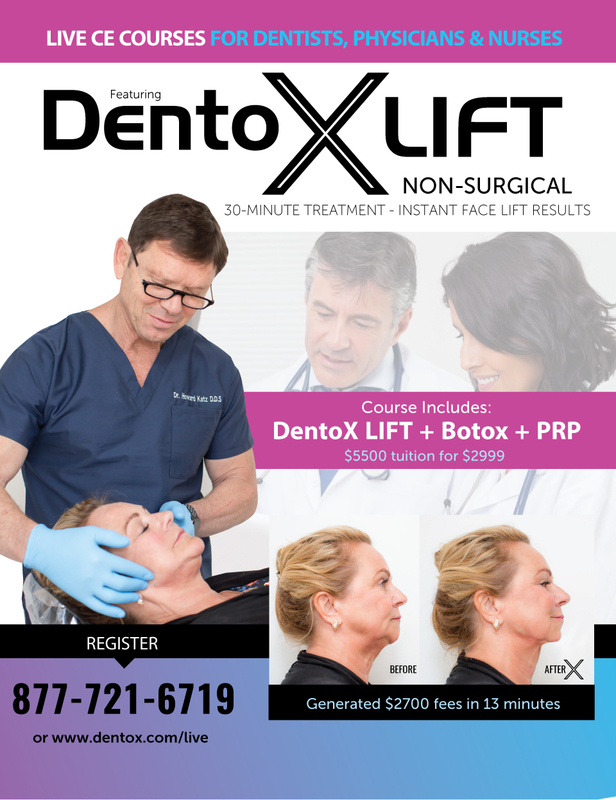 Is Your Dental Society Looking To Offer a Botox Training Course?